﻿ Ashton House Museum - Ohio. Find It Here. The Ashton House Museum was a dream of John H. Ashton who, with his wife Evelyn, opened Ashton's 5 & 10 cent Store in 1932. The Carrollton store - one of 11 the Ashtons owned, remains open today. 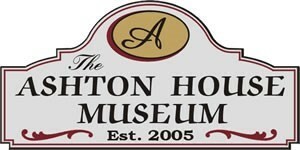 The museum is located just a few blocks from the store in the house the Ashtons built in 1961. When you tour the museum you will look back as far as the 19th century - seeing a reflection of an America that is fast disappearing. The artifacts displayed weave a nostalgic memory of a large tapestry of middle America. You will see items related to scouting, politics, garden club, Rotary, the Eastern Star and the history of our nation. Artifacts from Ohio State University and other sports teams are also on display. The displays are completely changed twice each year in April and August. At the end of your tour, spend a few minutes in the gardens enjoying the antics of the squirrels and bird songs as you imagine a time when life was just a little slower.